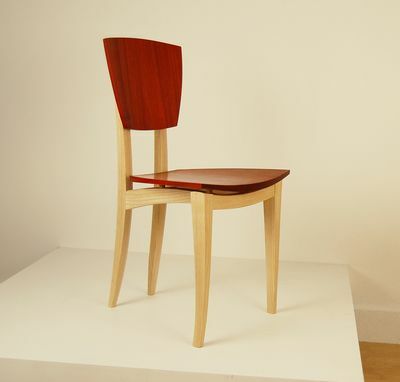 This chair offers a modern take on an Eames classic. 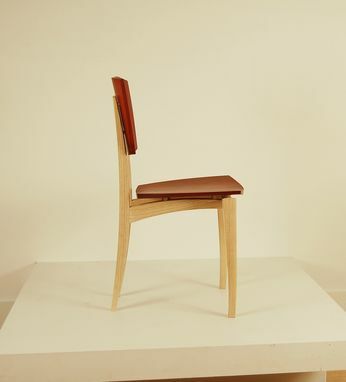 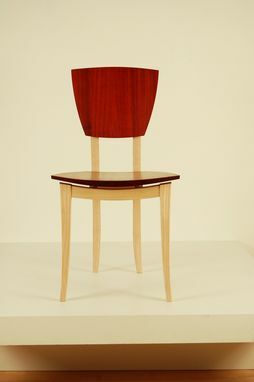 The coopered seat and back have a defined taper and offer a personalized contrast to the solid wood frame. 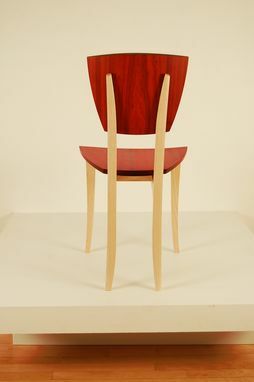 A very comfortable, strong dining chair, that is certain to compliment any dining table. 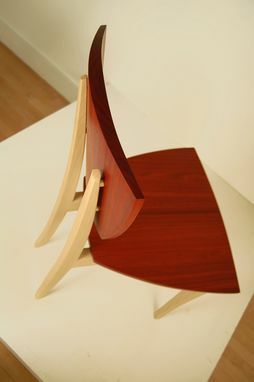 Created upon commission, available in a variety of domestic and exotic woods.